There is nothing more annoying for your visitors than a website that takes a long time to load. A poor page speed doesn’t just lead to a poor user experience for your customers, but increases the bounce rate on your website. Here, we introduce you to six tools that you can use to test your website’s performance and improve your page speed. A well-designed website with interesting content is not enough to keep visitors on your website. If users experience technical problems, they will leave your website as quickly as they came. In particular, if they have to wait for your website to load, they will most likely return to the SERPs and could end up on the website of your competition. A slow page speed negatively impacts the user experience and could end up losing you customers. Since 2010, Google has also been using page speed as a ranking factor. A variety of tools are available online to help you optimize your page speed. Here, we present 6 of them. Which Tools Help Measure My Website’s Performance? With this tool from Google, you can check a variety of possible sources of errors on your website that have a negative effect on the page speed. PageSpeed Insights evaluates the URL you entered twice – once with a mobile user agent and once with a desktop user agent. You can therefore measure the performance of your website for desktop as well as for mobile. 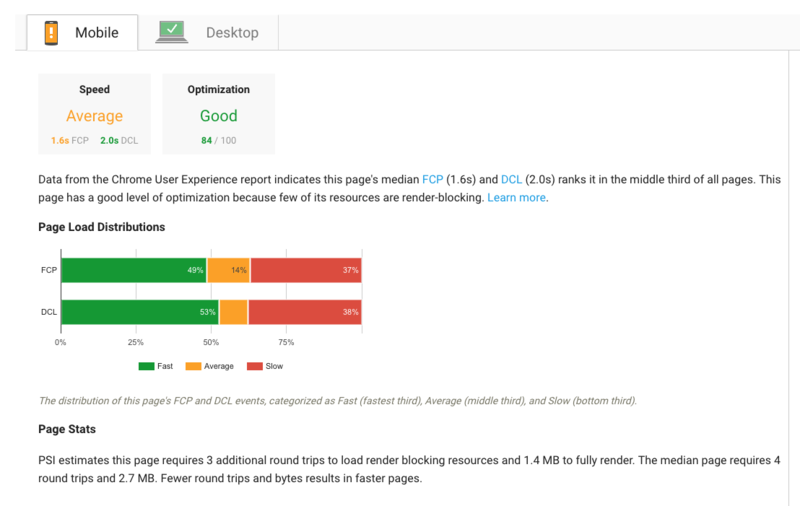 Figure 1: PageSpeed Insights from Google evaluates the loading time of your website. 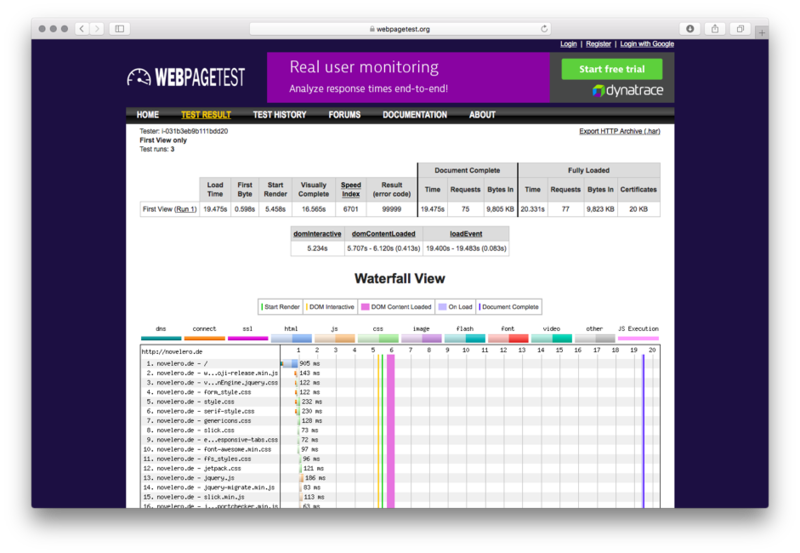 With the WebPageTest.org website, you can proceed in similar way as with PageSpeed Insights. As well as your URL, you can additionally specify the location and browser that should be used for the test. You can therefore determine if there are differences in the website performance for users abroad or users with different browsers. In addition to the absolute loading time, WebPageTest provides you with information about the perceived loading time – i.e., the time it takes for your website to be perceived as completely loaded by the user. You will also receive results about values such as “First Byte” – the time that is needed to transfer the first databytes between the client and web server; “start render” – the load time until the user sees the page content for the first time; or “fully loaded” – which marks the value at which your page is completely loaded with all scripts and elements. This tool shows you a variety of KPIs, however, the result is a relatively unclear illustration. If you want to compare the performance of two websites against each other, Which Loads Faster is the right tool. You simply have to enter the URLs of the two sites you want to compare, and then you can start the analysis. The tool is perfect for a quick comparison, however, you should use a different tool for a detailed analysis, as this tool won’t provide concrete suggestions about how you can improve your page speed. Figure 3: Which Loads Faster is great for a quick comparison, but not for extensive analyses. The performance report in the Website Success module from Ryte not only gives you an overview of the performance of your entire website, but also shows information about the Time to First Byte as well as the loading times of the individual URLs. It is also possible to filter according to the “very slow” sub-pages to identify which URLs have an excessive response time on your server. This gives you comprehensive information about your website performance, as well as ideas for optimization measures. 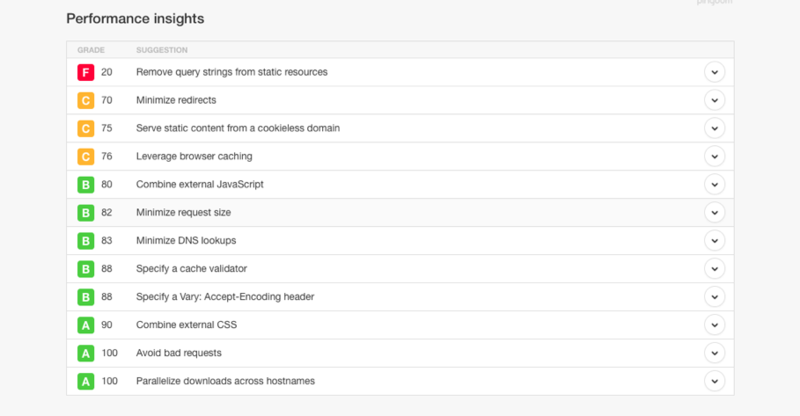 You can find the report in the Website Success module under Performance > Load times. By adding the Google Analytics data, you can additionally analyze which pages have high bounce rates or low dwell times, and optimize this accordingly. This open source tool was developed by Yahoo! and can be used as a bookmarklet, command center tool, or browser extension. It examines your site based on different sets of rules using the well-known Firebug Firefox add-on. The web analysis from Yslow is based on 23 of 34 rules that have an influence on website performance according to Yahoo. The results are summarized in an overall figure, and presented in a detailed list ordered according to performance characteristics. Figure 5: Yslow was developed by Yahoo! Similar to Yslow, you receive a performance grade and tips with the test result that help you match your site to the Performance Best Practices from Google Page Speed. Furthermore, you can also observe the performance of your site in the long term because each test is saved. There are a lot of great tools out there regarding website performance testing and optimization. Which of these is most suitable for your own purposes depends on what you want to achieve and how detailed the analysis should be. The “Which Loads Faster?” tool only gives you information regarding how quickly your site loads compared to the competition, whereas with tools such as Ryte and Yslow, you receive detailed information about the load times of individual URLs, and you can therefore easily identify potentials for optimization. Good results can be achieved with free tools as well, and if you need something more precise, you can easily upgrade to the next account. Above all, page speed is an important factor for user experience, and helps you to avoid high bounce rates. Try out the tools suggested in this article and see your website performance and rankings skyrocket! Published on 01/12/2018 by Olivia Willson.